There are times where you watch a certain video online and then you like it so much that you want to download that video to your computer so that you can watch it later and enjoy it again and again. But not all the websites offer you to download the video on your computer. Though some of the video sites don’t give you the option to download the videos to your computer, there are many tools that you can use to download the videos to your computer easily. One such tool is 4K Video Downloader that is a free video downloader that works on both PC and Mac and helps you download videos from Youtube to your computer. What does 4K Video Downloader Do? 4K Video Downloader is a software that you need to install on your computer and then with it you will be able to download videos from YouTube to your PC. What’s great about this tool is that it is completely free and you don’t have to pay any money to get it on your computer. Apart from being free, the software is not filled with all those malwares, adwares or toolbars that come with other free softwares. Being free of cost and even free from all those toolbars or adwares, the software is a must have for your computer so that you can easily download videos from YouTube. The Video downloader is completely free and there’s no extra charge to use it. Works on Windows PC, Mac OS X and even on Linux. With it, you can download complete playlists and channels on YouTube. You can save the video in different formats like MP4, MKV, MP3, OGG, FLV, M4A etc. No adwares or malwares come with this software. The software is doesn’t tell you to download any type of toolbars on your computer. Also Available in different languages. Read: How to Get iOS 7 Update to iPhone 5, iPhone 4S, iPad, iPad Mini and iPod Touch? 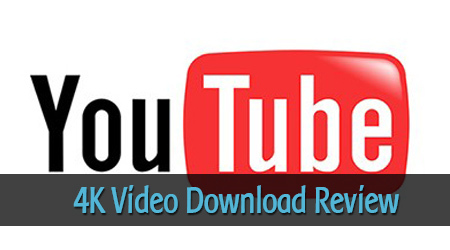 How to Download Videos with 4K Video Downloader? Download the videos from YouTube to your computer by using the 4K Video downloader software is amazingly simple and straightforward. You won’t get confused at all. To download videos from YouTube, all you need to do is copy the video link from your browser and just paste the URL in the 4K Video downloader software. After you have entered the URL, you need to select the quality of the video, the format you want to download and even the subtitles and when you are done, just hit the Download button. Now all you have to do is just wait till the video is completely download to your computer and then start playing it once the download is done. Finally, I would say that if you want to download your favorite videos from YouTube, you need to install 4K Video Downloader to your computer and install it. The process to download the videos using the software is as easy as 1,2,3 and anyone can do it. So if you are looking for an easy solution to download videos to your computer, you must check out Video Downloader and install it on your computer and start downloading different videos.